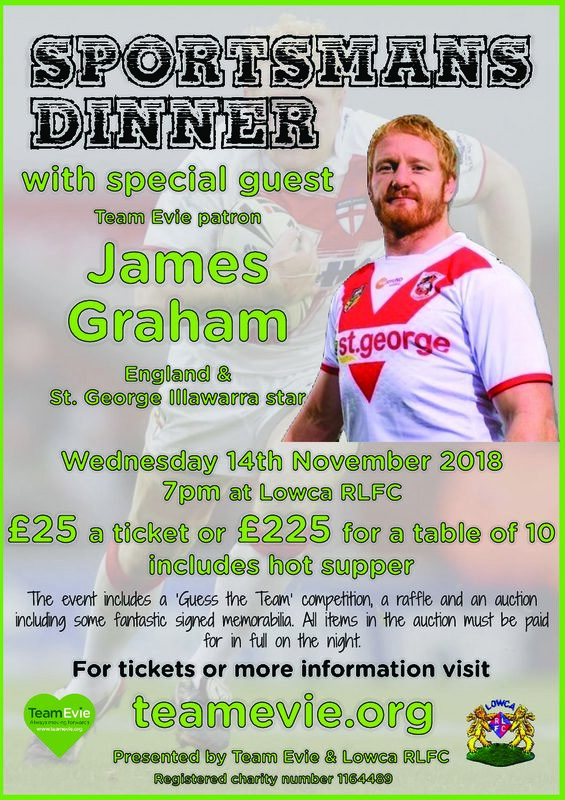 We are proud to present, in association with Lowca RLFC, an evening with James Graham! 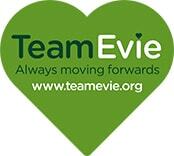 James is a patron for TeamEvie and has kindly agreed to to come along to be the special guest at our Sportsman’s dinner. Everyone who attends the event will be given the opportunity to submit a question to the compere which could be asked to James. On the night there will be various competitions and opportunities to win fantastic prizes! This is a fantastic opportunity for the passionate West Cumbrian rugby league community to meet and hear from our most-capped England international! Single Ticket Book Now £25 each. 45 available. Table of 10 Book Now £225 each. 4 available.